not-for profit 501 (c) 3 organization. BECOME A MEMBER OF ICHOF! An outstanding museum needs exceptional supporters. Become a member today! The passion and dedication of a committed membership will enable the Hall to continue to acquire and display outstanding historical clown artifacts that enrich the Hall's collections for the benefit and enjoyment of future generations. 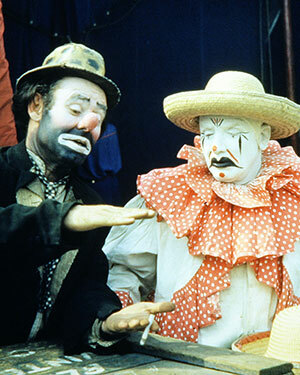 Friends of the International Clown Hall of Fame and Research Center future programs range from previews of the Museum’s exhibitions, holiday parties, networking events, educational programs and special events to honor significant contributors to the ancient and honorable art of clowning from around the world. We offer several levels of support and all members receive exclusive benefits listed below. In addition, your membership provides essential funding to help the ICHoF continue to thrive by expanding educational programs and collections. Above all, you'll have the satisfaction of helping to shape a legacy for future clowns around the world. 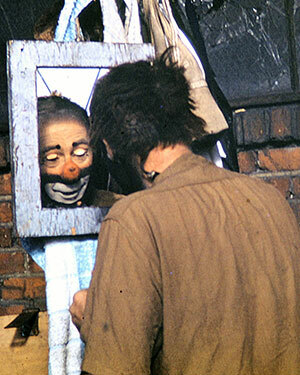 You can have an integral part in preserving clowning's past through your membership in the Friends. Let’s keep our history alive for future generations! Become a part of the fun that awaits you when you join the Friends of the International Clown Hall of Fame and Research Center family. Learn more about the many benefits of membership by selecting a membership level below. Then join or renew quickly and easily by clicking the Add to Cart button below. If you prefer sending a check or money order, Click Here for a printable PDF version of our application. Memberships are valid for 12 months from the date joined. Your membership may be tax deductable. a not-for profit 501 (c) 3 organization.